The Northern Illinois Huskies and the Toledo Rockets derailed Zultan’s perfect 14-0 Week 4. These MAC teams accomplished what the SEC, PAC 10 and Big East conferences could not––confound the All-Seeing One by bringing out previously hidden talent to overrun the supposedly more talent-laden Big Ten teams––Purdue and Minnesota. But now, as conference play gets underway, the prognostication game grows deadly serious. There are no more gimmes on the horizon, for all appearances to the contrary. The lop-sided scoring by the top-ranked Big Ten teams over cup-cake opponents is over. This begins the run for conference titles and other guarantees of glory in the post season. 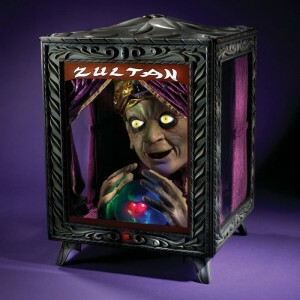 Zultan has never dipped below 500 in his two-year stint forecasting games; but this could be the week. Don’t miss your opportunity to outguess the Seer of Seers. Click here to make your own picks for Week 5. But be warned, Zultan has polished up his crystal ball, tweaking his football radar as he readies himself for that all important first step in Week 5.